Thank you so very much for inviting me to blog with you today. I'll be heading for Wagtail Mountain soon, and Krista tells me that you'd like to know more about what I'll be doing there. While I am a university professor by day, at night I change into a ghost debunker. Naturally, we all know there are no such things as ghosts. Oh, I know you may think you have felt a hand on your shoulder or believe you have seen a mysterious wisp or fog that resembled a human being. You're not alone. Many people claim they have encountered something supernatural. The unexciting truth is that there are perfectly rational explanations for these things and as a debunker, it's my job to figure out what it really was. The Apparition Apprehenders are going to Wagtail Mountain to investigate the legend of Rebecca Wraith. I have been invited to make sure the Apprehenders keep everything on the level. They're shooting a TV pilot, and it will be my job to find the rational explanations behind the spirits they find. Just between us, I'm a little bit nervous because my former fiancé is in charge of this expedition. After no communication for a very long time, we've been exchanging email. My heart beats a little faster just thinking about seeing him again. Could it be that we were meant for each other after all? I just loved the first book in this new series. I have this new one on preorder. I can't wait to read it. I wish Wagtail Mountain really did exist. Thank you so much, Annette. I wish Wagtail existed, too. I would be living there! I hope you enjoy the new book. what creative names in this one...i am ready to be spooked! Wishing you luck with your expedition! Love is in the air. Hopefully, not in the "scare." Thank you, Daryl. Debunkers are rarely scared. That doesn't worry me because there is no such thing as a ghost. I can't wait. I've gone on a ghost hunt myself, I'm curious as to what you'll find, and if you find anything if you'll be able to debunk it! Thank you, Katreader. I look forward to debunking the Wagtail ghosts. I wish that Wagtail existed. Wouldn't it be great. I'm really enjoying this series, this sounds like a great book! Thank you, Melissa! 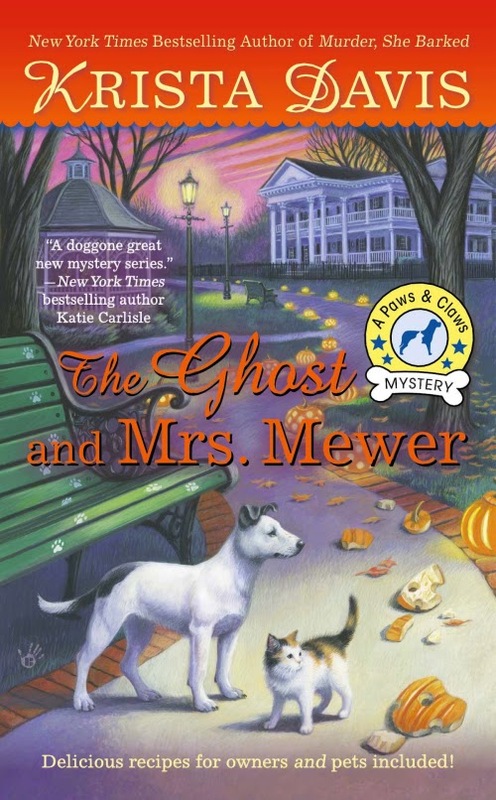 I hope you'll enjoy The Ghost and Mrs. Muir.